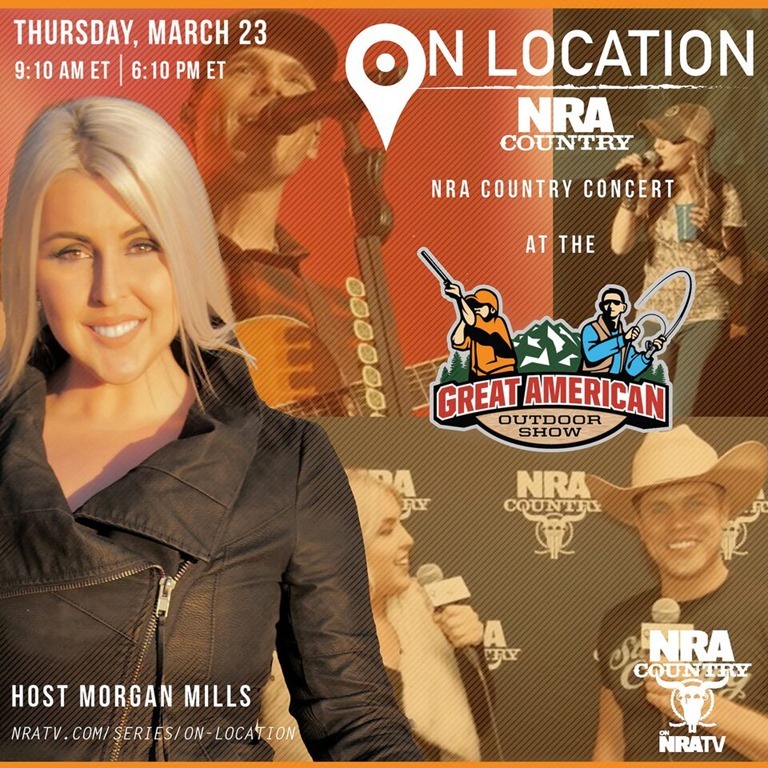 Go “On Location” with NRA TV’s newest series and get a backstage pass as host Morgan Mills chats with celebrities at the biggest country music and outdoor events. From the red carpet to out in the field, Mills interviews some of the hottest stars as they share their passion for the outdoors. “On Location” is part of NRA Country, a celebration of American values through music, and is available to watch on NRATV.com and on Apple TV, Google Chromecast, Amazon Fire and Roku. The latest episode, filmed at the 2017 Great American Outdoor Show live in Harrisburg, PA premieres Thursday, March 23rd at 9:10am ET at https://www.nratv.com/series/on-location. The new shows feature platinum hit-maker and outdoor enthusiast Dustin Lynch, and blue-collar baritone and country star Granger Smith, along with rising country songstress Tara Thompson alongside outdoor celebrities and more! NRA Country is a celebration of American values through music. Respect. Honor. Freedom. It’s a lifestyle and a bond between the best and brightest in country music and hard-working Americans. NRA Country is powered by pride, love of country, respect for the military, and our responsibility to protect our great American lifestyle. NRA Country celebrates these values with concerts and events benefiting military and veteran services organizations, first responders, conservation organizations, firearm safety programs, and local charities making a difference in their communities. NRA Country will be involved in causes that defend our values and it will empower our artist friends who promote these values to encourage our next generation of leaders. About Morgan Mills: Morgan Mills is from the south, North Carolina to be exact. She also spent her formative years growing up and working in NYC and Los Angeles. Being on stage, in front of the camera and walking red carpets comes just as naturally as skinning a deer, pulling in a jug line and disassembling & cleaning her guns. Named as one of their artists “On The Horizon”, Sirius XM The Highway put Morgan on the country music map by launching her latest single “Let’s Ride” featuring Colt Ford, at the same time as the hit outdoor TV show ‘Universal Huntress’ on The Sportsman Channel launched it as the show’s theme song. 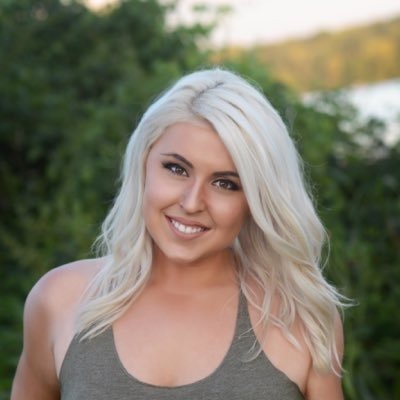 In the past couple of years Morgan has also made her name in the outdoor industry and traveled the world as a guest host of UHTV, along with many other outdoor TV shows. Through her music, she has shared the stage with the likes of Toby Keith, Jake Owen, Tyler Farr, Colt Ford, among others, and her video for “Dance In The Rain” continues to gain traction as it remains in rotation on CMT, GAC, ZUUS and The Nashville Network/The Heartland Network and on social media. Becoming the face of NRA Country and hosting new show “On Location” seems to be an organic fit for Morgan, as it builds off of her experiences and blends her passions for country music and the outdoors naturally. Learn more about Morgan Mills at http://morganmillsmusic.com, on Facebook at https://www.facebook.com/morganmillsmusic, on Instagram at http://instagram.com/morganmillsmusic and on Twitter at http://Twitter.Com/MorganBMills.